Is there anything scarier than a door in a horror game? I submit that there is not. Most horror video games feature monsters or ghosts. Or aliens, or ghouls, or giant gore-drenched spiders. Those things are scary and dangerous, because of course they are. Usually they hunt you, or attack you, or pop out of a mirror when you least expect it. They may hide in the shadows or walk straight toward you, but their intent is clear. This article originally appeared 10/27/17 as part of Kotaku’s Halloween-themed Spooky Week. A good horror game is more like a nightmare than a scary movie. A scary movie requires very little of you. You have no control, which can actually be a relief. When things get too scary, you can just throw your hands up over your eyes or hide behind the couch. The movie will keep playing absent your attention, and the scary part will eventually end. Like a nightmare, horror games require participation. You must face the shrieking wight in the attic. You must survive the scary little girl in the mirror. You must endure whatever beast that is sloshing around in the flooded basement. 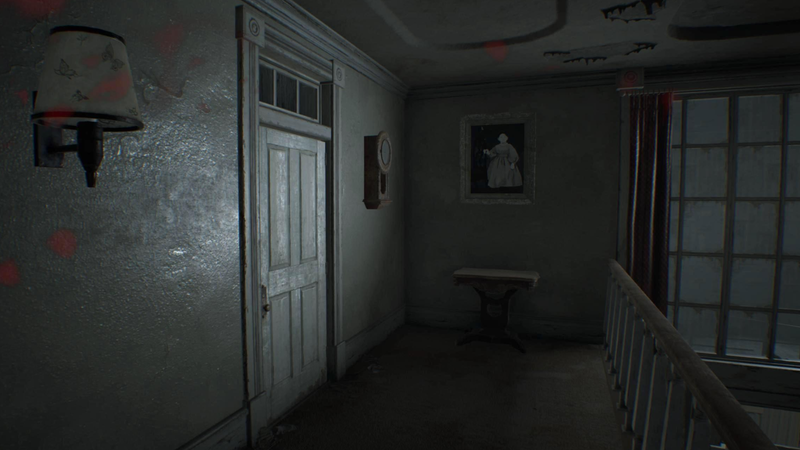 Passing through a door in a horror game means actively choosing to confront what’s behind it. Whenever I write about horror games for Kotaku, I usually come back to the doors. When I reviewed Amnesia: A Machine For Pigs in 2013, I talked about the video game “nope” moment. The “nope” moment accompanies the shadowed feet you see through the crack under the door, shuffling away as you approach. It’s a half-open attic trapdoor, beckoning you upward. Every instinct you have is screaming nope, nope, nope. Yet you press on. Resident Evil 7, a terrific horror game released earlier this year, had really good doors. You could slowly cajole them open, peering around the corner into the room beyond. Or you could barrel through them, damn the consequences. Each one required consideration, and that consideration led to doubt. Sure, there wasn’t anyone on the other side of this door the last time you opened it. But there might be this time. Maybe you should take it slow. Peek around. Just to be sure. Silent Hill 2, via the Silent Hill Wiki. I’ve long argued that good horror exists in the balance between dread and panic. Panic is when the monster finally steps from the shadows and attacks. The alien is in the room with you, and you’re hiding under a desk. The bad man with the sledgehammer just broke through the wall beside you, and you must fight or flee. Dread is a subtler, richer sensation. It mostly exists in your head. It’s when you don’t know what’s coming next, and the game starts messing with you. Did I just hear something? Did I just see something? And of course: What’s waiting for me on the other side of that door? Every horror game door is a dread-laced dare. It sits at the edge of the unknown, blocking from view whatever fresh hell awaits. Are you brave enough to push it open and face what’s on the other side? That’s up to you.